P1: There have been shootings at schools in which children have died. P2: People have prayed that their kids and others would not fall victim to a school shooting. A quick logic lesson. An argument is valid if the premises (P1, P2 above) logically lead to the conclusion (C) having to be true. We can say the above argument is then valid because the conclusion is justified. But that is only half the problem; the other half of the argument deals with soundness. An argument is sound if all the premises are true. At issue then is the second premise. Yes, it is true people have prayed asking for things which have not been granted. But, this premise is false because it assumes an incorrect purpose of prayer (at least according to Christianity) and it is a misunderstand of prayer that I assume Neil deGrasse Tyson is working with. Unanswered prayers are not “evidence” prayer is a useless endeavor or even further, evidence God doesn’t exist. We must first ask what the purpose of prayer is? If we wanted to know if a car works, would we not first need to know what the purpose of a car is? If my expectation and understanding of a car is wrong, I guess I could make a convincing argument a car doesn’t work because it won’t cook my eggs properly. One wrong way people can think of prayer is as a force which we can harness and wield like a Jedi Knight defeating his enemies. I know this view is held by those outside the church as well as inside. If the Jedi are losing the battle with the bad guys, the force could be argued to be insufficient. Likewise, if you view prayer as a force then every time it seems God has not done your will or given what you’ve asked, you will see either prayer or your faith as insufficient. But is that what the Bible tells us prayer is? Yes, prayer is powerful, more powerful than we can understand and more mysterious than we are comfortable with. But, as I will argue below, it is not a “thing” God gives us to grant wishes and when seemingly unanswered, an indication of insufficiency or lack of care on His part. Before we explore what the Bible tells us about prayer, I would like to quickly share about authority and investigating any theological issue, such as prayer. I would not go to my pastor, as smart as he is, to discuss the latest developments in quantum mechanics. My pastor has no authority there. Yes, he can offer opinions and share thoughts. Maybe he recently read something interesting related to quantum mechanics that is worth sharing. Likewise, I would not seek theological guidance from an atheist scientist. We falsely believe someone who is an authority, maybe even the authority, in one field automatically makes them an expert or also well versed in other areas (Stephen Hawking once declared philosophy is dead, and then proceeded to write a book in which he does philosophy poorly). And please understand this: Science is not the field of knowledge which can disprove or prove God. Believing so, as Greg Koukl says, is like “weighing a chicken with a yardstick.” It is the wrong tool for the job. Yes, science can reveal some truths about God, but it is not the tool to use to discover if God exists or if prayer works. I am aware that many famous scientists boldly declare God does not exist or make other theological statements. But, a scientist asserting God does not exist is a far cry from the field of science, as a body of knowledge, putting forth evidence which directly falsifies God. Sadly, these outspoken atheist scientists only reveal their inability to apply the same level of intellectual integrity to philosophy and theology as they do to science. Let’s now see what the Bible says about prayer and its purpose. Obviously one could write almost endlessly about prayer in the Bible. My goal here is to only briefly demonstrate that prayer is not about getting God to do what we want or what we think is good. Note that the first words out of Jesus’ mouth are that of praise and reverence for God, for Him to be above all else, and followed by a petition for God’s kingdom to come and His will be done (not a plea for our will to perfect our kingdom). There is selflessness to prayer; we are not generating a wish list to God. It is also a time of confession for the believer; to lay bare our weakness to the only one who can revive us and heal. Prayer is also worship, a time to praise and thank God. 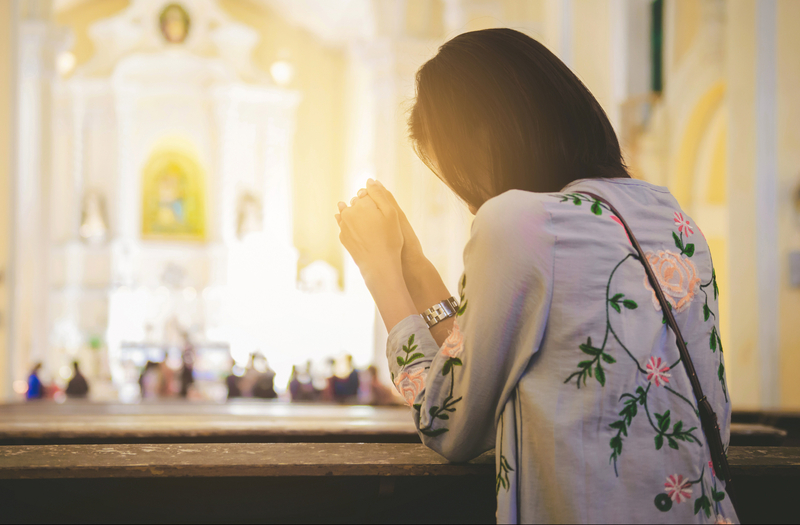 John tells us that we can be sure of our prayers “…if we ask anything according to his will he hears us.” (1 John 5:14) Here he resonates with Jesus’ instruction above that our prayers should seek to conform our will to the will of God. This is necessary to understand the purpose of prayer. We should seek to conform our requests “to his will.” Often our battle with “unanswered” prayers is really just a battle of our will versus God’s will. Paul reveals to us that it can be through our unanswered prayers from which God’s glory can be revealed! Paul explains in 2 Corinthians 12:7-9 that he had been given a “thorn” from Satan himself and “Three times I pleaded with the Lord about this, that it should leave me.” God responds to Paul’s prayers that “My grace is sufficient” and God’s power is “made perfect in weakness.” Paul says he will then boast of his weakness so that “the power of Christ may rest upon me.” How often when our prayer for healing does not come, do we than thank God for His grace and glorify Him because we have now been made more reliant upon His grace? The emphasis appears to be on prayers for growth, boldness, and sustaining of faith with thanksgiving at the forefront. Yes, there are examples of prayers being answered in the manner of which the believer asked them to be (as recorded in Acts, Peter being rescued). And even if you believe God hasn’t answered some of your prayers, if you’ve been a Christian long enough you will see He has answered many more than appear to be neglected. If you are a follower of Christ never forget He answered the most important prayer of your life, and that is the prayer of your own salvation! The Psalms tell us our despair is not surprising to God. Jesus, on the cross, even recited Psalm 22:1. And as you read through the whole Psalm of the verses above and the other 146 Psalms, you will see they continue with more praises to God for his rescue and steadfast love in the midst of suffering. They are also filled with thanksgiving for the fact that God listens to us. The Psalms are overwhelming in their rejoicing and joy in God and His Word, but they also teach us that thanksgiving, even in suffering, should lead our prayers. Timothy Keller in his outstanding book Prayer: Experiencing Awe and Intimacy with God, writes “Prayer is our way of entering into the happiness of God himself.” C.S. Lewis said “I pray because I can’t help myself. I pray because I’m helpless. I pray because the need flows out of me all the time, waking and sleeping. It doesn’t change God. It changes me.” The theme we see in all the above is that prayer is is an invitation from God to express our praise, to glorify God, confess our sins, to make known our heart and find refuge, to find joy, and to open our heart and mind to God’s will above our own for His glory. The Bible reminds us suffering and what we perceive as unanswered prayers are not foreign to the Christian experience. Prayer is not something we do to get something we want; it is relational in that it is a means in which we commune with God as He shapes our will towards His. God invites us into prayer. Therefore, prayer, contrary to Neil deGrasse Tyson’s argument, is sufficient to accomplish what it is intended to achieve; bring us close to God, change our hearts and mind in conformity with His, and give us a way to voice our praise and concerns to our heavenly Father. Prayer is a place where the sovereign creator and sustainer of the universe becomes your Father who you must depend on, caring and listening to your every word including the ones you cannot even speak. Asking if prayer works then is more like asking a child if their relationship with their father works. How does a child measure such a thing? Is it measured in wishes granted by the father? If so, then I guess the relationship only works around Christmas and birthdays. What father gives their child everything they ask for? Does not the father, knowing more than the child, understand withholding things is better than granting them at times? Is not the relationship evaluated by the love and closeness, the growth of the relationship, over time? Prayer is our communication with our heavenly Father. So, if we are communicating with God, and we know according to His Word He responds, then the follower of Christ can be confident prayer “works.” In other words, if a believer reaches out to God in prayer, then the goal of prayer has already been accomplished because the believer is growing closer to God. Prayer can never be “insufficient” if you are a follower of Christ. The Bible is clear that without Christ, we are fatherless, we are spiritual orphans until upon following Christ we are adopted as children of God (John 14:18, Ephesians 1:5). Outside of Christ, prayer will rarely make sense because it will inevitably turn into wishful thinking. This is why we need the Gospel, to be forgiven, adopted into the family of God, and forever saved from His wrath. To be able to talk to the King of Kings. Jesus tells us in John 15:7“If you abide in me, and my words abide in you, ask whatever you wish, and it will be done for you.” It is only with a renewed mind and heart, as a new creation, that we will have the desire to let go of our will and seek God’s will through prayer. No longer seeing God as a cosmic genie, but a loving Father carefully and beautifully loving us whole, growing closer through prayer. Next Can God Exist in a World with the Holocaust?